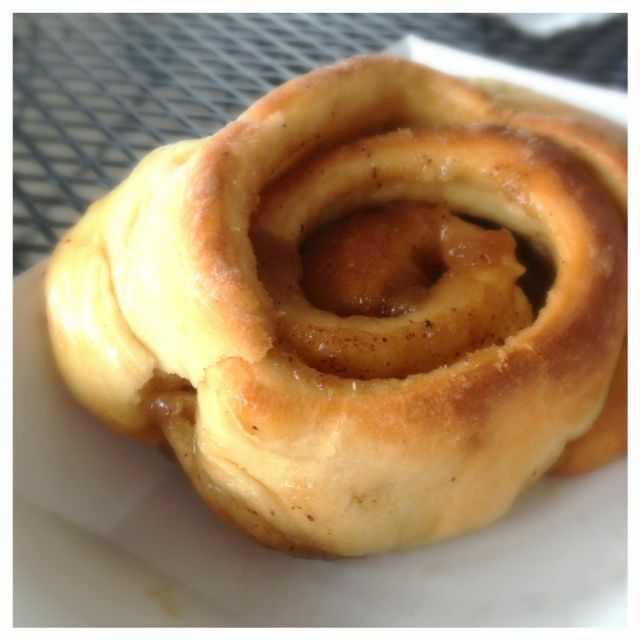 We ventured out again today to look for the best cinnamon rolls in Portland. I know, it’s a tough job, but someone has to do it. On this day our adventure actually started in Oregon City. The cinnamon rolls looked different enough that we didn’t even see them in the case. The cinnamon oozes out from the sides. They warm these and top them with honey butter. YUM! They were perfectly flavored with cinnamon and sugar, and the dough had a great moist texture. The interesting thing was that they were made of a biscuit type dough. I didn’t hate this, as a matter of fact I loved it, but deep down really wished it was a more traditional dough. 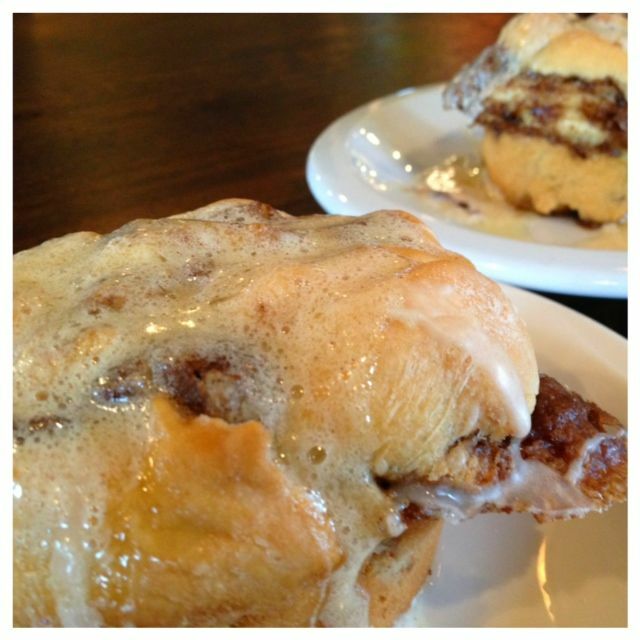 Nonetheless, even with the dough, we put this as our most favorite cinnamon roll yet. So, as of today, this is the best cinnamon roll in Portland. We also felt like it was a steal of a deal at just $2.50 each. I should also let you know that they serve Stumptown coffee and Foxfire loose leaf tea. Our second stop of the day took us to Cartlandia. This is a newer cart to this pod. They promote these big cinnamon rolls, so we knew a drive was in order. I should also mention that by day she does pastries and in the evening the nephews come in a use this cart as a pizza cart with a wood fired pizza oven. Pretty clever if you ask me. We walk up to the cart and the cinnamon rolls are wrapped in plastic and sitting in a tub right outside. He tells us to pick one. We grab 2 and ask if there is any way he can warm them. He tells us absolutely, and they should take about 5 minutes. That’s perfect because we have never been to this pod and we all want to wander around. After our self guided tour we return and he hands us our cinnamon rolls wrapped in foil in containers. We take them to the indoor seating and take off the foil and discover that the plastic wrap is still on them. Now there is gooeyness (is that a word?) all over the place as we try and take off warm plastic. It was a bit odd to say the least. We finally got them unwrapped and dug in. There are 2 different verdicts here. Ours was super moist, very flavorful and just the right amount of sweetness in the dough. We almost felt like there was an apple in the middle. Although I don’t know if there was, it was that thick of a texture of goodness and it was great! The other one had hardly any gooeyness, as a matter of fact it was dry. I rated this cinnamon roll high, but the others didn’t agree. So, if you go here, choose your cinnamon roll wisely. These were a great deal at just $3 each because they are rather large. We rated Fat City’s cinnamon roll as a favorite, but others say that theirs was dry, so I guess choosing your cinnamon roll wisely is the best advice we can offer. Don’t forget to check out our other cinnamon roll adventures. 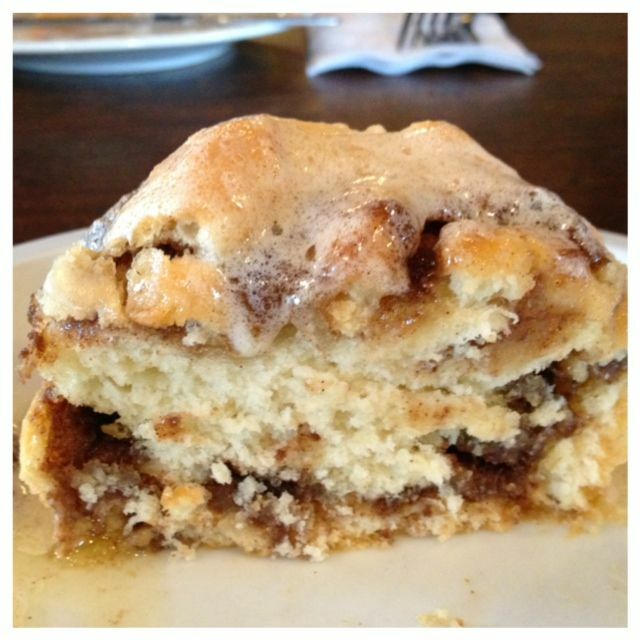 Finding the perfect cinnamon roll has always been my quest.